Just when I was settling into decisions for next years projects it occurred to me that today, 11 September 2013 is the 304th anniversary of the Pyrrhic victory at the Battle of Malplaquet fought between England, Austria, Prussia and the Low Countries on one side and France and Bavaria on the other. It was a battle that was famous for the commanders, John Churchill of the English (the Duke of Marlborough) and Prince Eugene of Savoy on the one side and Claude de Villars and Louis Boufflers on the other. Overall there were 86,000 in the armies of the Grand Alliance with 100 guns and and 75,000 and 80 guns on Bourbon side. The Army of the Grand Alliance found itself at Malplaquet near the modern Belgian/French border. 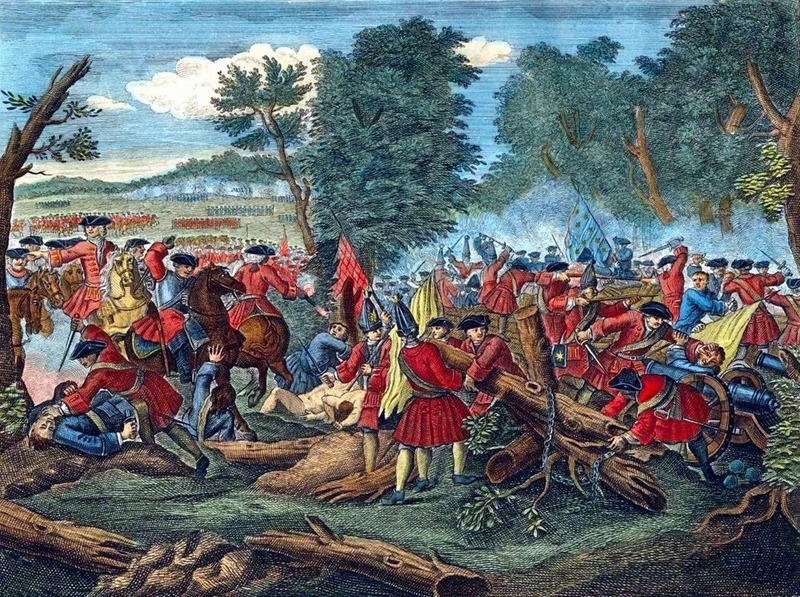 In the morning of 11 September 1709 at 9.00am the Austrians attacked with the support of Prussian and Danish troops. These were commanded by Count Albrecht Konrad Finck von Finckenstein. They pushed back the French left wing into the forest behind them. On the French right wing the Dutch under the command of the Prince of Orange, John William Friso, attacked to distract the French and prevent them from coming to Villars’ aid. Later a decisive final attack was made on the weakened French centre by British infantry under the command of the Earl of Orkney. This attack occupied the the French redans. Allied cavalry was then able to advance through this line and engage the French cavalry behind. By this stage, de Villars was off the field having been wounded earlier so Boufflers was in command. Boufflers was leading the Maison du Roi and six times drive the Allied cavalry back before finally deciding the battle was lost and surrendering the field. The victory for the Grand Alliance had come at some cost however with 21,000 casualties from within the alliance compared to 11,000 casualties on the French and Bavarian side. Now I am torn again between the War of Spanish Succession and the Great Northern War. Of course, I could just do this as Imagi-nations. Oh yes, and I am still planning something with the Thirty Years War.